An Inverness man died Wednesday morning after he was involved in a crash on State Road 44. The collision occurred shortly after 10 a.m. on State Road 44 near Shady Knoll Place. According to the Florida Highway Patrol, the 70-year-old man was driving a 2002 Mercury east in the outside lane of State Road 44. At the same time, a 67-year-old man was also driving east in the inside lane. Troopers believe that the driver of the Mercury attempted to change from the outside lane to the inside lane, but when he did so the the left front of his Mercury clipped the right rear of the other driver’s 2009 Ford Ranger. Both vehicles spun clockwise onto the south shoulder of State Road 44. The Ranger overturned, while the Mercury came to rest on the sidewalk. 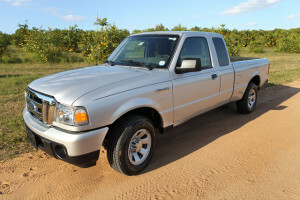 The driver of the Ford Ranger died from his injuries at the scene. His passenger suffered serious injuries and was taken to Bayonet Point. The driver of the Mercury was not injured. His passenger was taken to Seven Rivers Hospital with minor injuries. The highways in Citrus County are becoming increasingly more crowded and sophisticated. With drivers traveling at high speeds on these highways and roads, lane changing accidents and lane merger accidents occur on a regular basis, ultimately resulting in injuries to drivers, passengers and pedestrians. According to the National Highway Traffic Safety Administration, approximately 533,000 – or 9 percent – of all motor vehicle accidents are lane changing and merging collisions. Of those reported accidents, 200 result in fatalities. If you or someone you love has been involved in an auto accident that was caused by another driver maneuvering an unsafe lane change, you may be entitled to compensation for your losses, including medical and rehabilitation costs, property loss, lost wages, pain and suffering and wrongful death. A Citrus County Auto Accident Attorney at Whittel & Melton can help you understand what steps to take next. Call us today at 352-726-0078 or contact us online to request a free consultation.